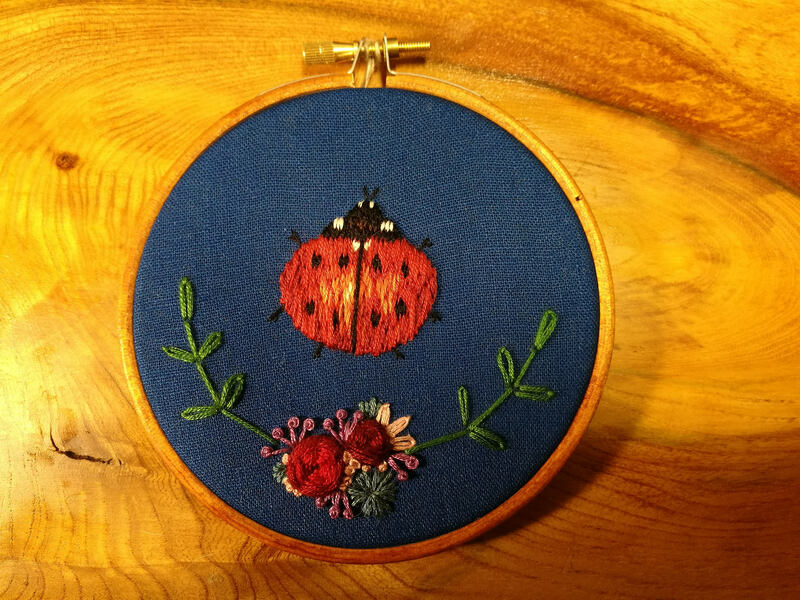 This hand embroidered floral design with ladybird gives a burst of colour to your wall or shelf. The embroidery comes in a 4 inch hoop that has been stained by hand to compliment the blue fabric colour. 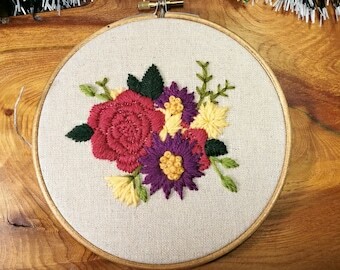 I add an extra layer of fabric behind the embroidery to hide the stitches at the back and to give the hoop more stability. The fabric is secured at the back of the hoop so cannot be removed.